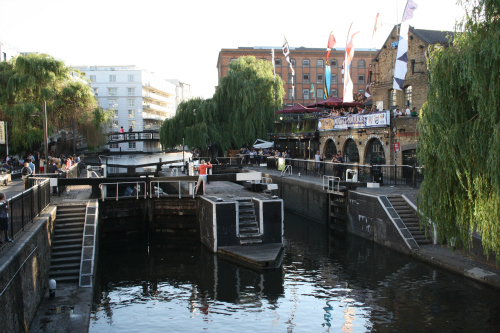 Busy, buzzing, and packed with the bars and nightlife that young professionals love, Camden is one of the most popular places to buy property in North London. Regeneration and investment has helped the area to become smarter and more desirable, whilst still retaining its unique atmosphere. Martyn Gerrard Estate Agents can help to find property for sale or rent in Camden for buyers and tenants who are looking to be right at the heart of the action, so if you are looking to invest in a new Camden address, make sure you contact our team first. Do you have a property for sale in Camden? With a broad mix of properties available to buy, Camden has something to suit every taste. The houses and flats for sale here have become increasingly expensive as the area has developed and grown more popular. The popularity of both the world famous Camden Market and Camden Lock have made the neighbourhood even more desirable, and properties here are in great demand, but if Camden is your location of choice, you can trust our team to help find your new home. Martyn Gerrard have over fifty years of experience as a top North London estate agent, and we are experts when it comes to the local property market. Talk to our team about what you are looking for, and we will do our best to find you the perfect property for your budget and requirements. To learn more about the fantastic flats and houses for sale and rent in Camden, get in touch with Martyn Gerrard today and take the first step towards securing your new home in this cool and colourful neighbourhood.